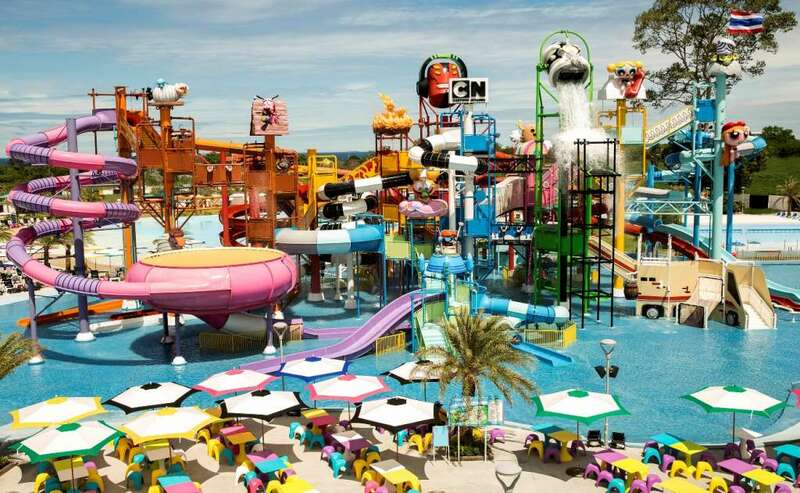 The world’s first Cartoon Network Amazone waterpark and will open its doors to the general public on Friday, October 3, 2014. This one of a kind and first in the world waterpark that will feature 30 breath-taking state of the art water rides and slides, live Cartoon Network entertainment shows, mascot meet and greets, thrills attractions and interactive water play fun for the entire family. “What sets Cartoon Network Amazone apart from any waterpark in the world is that this is the new home away from home of Cartoon Network’s beloved heroes such as Powerpuff Girls, Ben 10, Adventure Time and the only place where our fans can do meet and greets with their favorite characters every day while they enjoy our live shows. We made a decision from day one that this park would be a “daycation” destination – an attraction like no other in Thailand or in Asia. A place where music and live entertainment with Cartoon Network characters would be equally as important as the water attractions,” said LiakatDhanji, Chairman of Amazon Falls Co. Ltd., the owner and developer of the park. 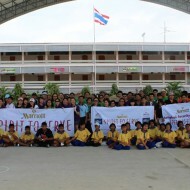 Located less than 20 minutes from Pattaya City, Thailand and only 90 minutes from Bangkok Suvarnabhumi International Airport, Thailand’s newest and largest international water park will initially admit up to 1,000 visitors per day in October to ensure that the intended customer experience is successfully delivered as the park continues to fine-tune operations. The park admittance capacity will gradually be raised in November to meet with anticipated high season demands from tourists and local Thai visitors. The park has a maximum capacity of 10,000 visitors a day and will open daily from 10 am – 6 pm all year round. Experience the perfect surf wave with our team of flowrider instructors as they teach beginners and intermediate riders new tricks and spins while our resident DJ plays the latest music hits – waves roll out at 35 mph, moving 30,000 gallons of water per minute. We’re doubling the fun year round with our very own dual flowrider which can take 2 surfers at a time. Thrill seekers will want to ride this one of a kind attraction as it propels guests down and around spins and thrusts dual riders into the mouth of the humungasaur where he roars – and blasts you into a splashtacular finish! But that’s not all – guests can experience many more exciting attractions such as Goop Loop, Intergalactic Racers, Alien Attack! and the XLR8tor. Families and friends can set afloat on around the 3650-foot-long lazy river, set amongst their favorite Cartoon Network heroes, flowering vegetation and palm trees. What better way to cool off in the warm tropical weather than to ride the gentle waves at Mega Wave – this is the perfect family attraction where everyone can enjoy themselves all day long. Join your favorite Cartoon Network characters ranging from Dexters Lab, Gumball, Ben 10, Powerpuff Girls, Courage the Cowardly Dog, and many more characters as this one of a kind interactive playground with various lengths, heights and types of 9 slides offer something different for every member of the family. Guests can wade in the surrounding pool and be splashed and soaked happily with 2 huge buckets of water from Four Arms and Omnitrix. The global theme park industry is set to be redefined with the 2014 opening of Cartoon Network Amazone, a destination designed for the young and the young at heart alike. 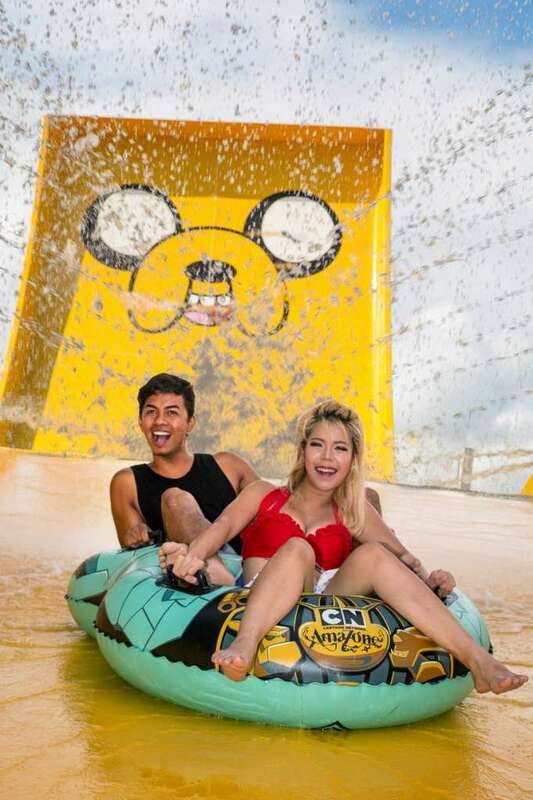 Offering a full day of exciting entertainment, including social and interactive features, this world-class water park will catapult guests into the dynamic world of Cartoon Network, bringing its popular series and toon stars to life like never before. coasters and attractions. The waterpark also features captivating live and multimedia entertainment that incorporates the latest in interactive smart-screen technology – bringing fans of Cartoon Network closer to their favorite characters than ever before. Cartoon Network Amazone is a licensed agreement between Amazon Falls Co. Ltd., the development of the waterpark, and Turner International Asia Pacific, the owner and operator of Cartoon Network.